Questions of the agency and effects of death, in both individual and mass tragedies, are central to this extraordinary collective elegy from Kim…This is Choi’s sixth masterly translation of Kim, and it fully reveals the startling architecture Kim develops to display structural horrors, individual loss, and the links between them. Living through the military dictatorships and uprisings of South Korea’s post-war period, and writing from a present marked by continued corruption among society’s highest ranks, Kim Hyesoon’s Autobiography of Death addresses and gives voice to the swirling and incalculable mass of those whose lives were ended unjustly. By being ‘of’ and not ‘about’ death, Autobiography of Death recognizes both individual and collective involvement in the structure of death—unable to unstick itself from the structure of power. 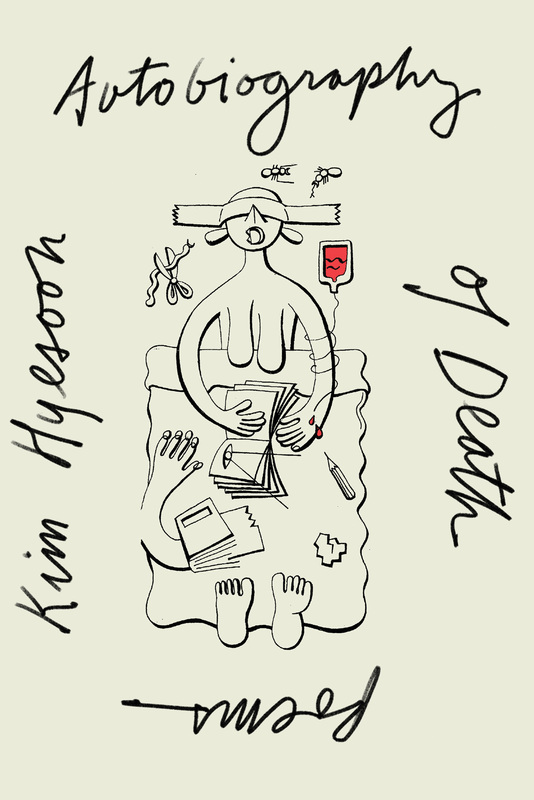 In forty-nine poems, each representing a day, Kim captures death’s cycle between life and reincarnation: pages filled with wings and shadows, female laughter and weeping, bloody rabbits and dead mothers. The limits of creativity here are so wide that very quickly we find we’ve fallen through the holes old wars blew open, into something like the endless dreams of millions dead. Kim is a singular poet in Korea, just as she is in America, but we can only fully appreciate this when we see that, for her, violence is not the end but a means. The birdlike Kim weaves a pattern of poems, so strangely compelling and curious, and utterly unlike anything I had heard before.